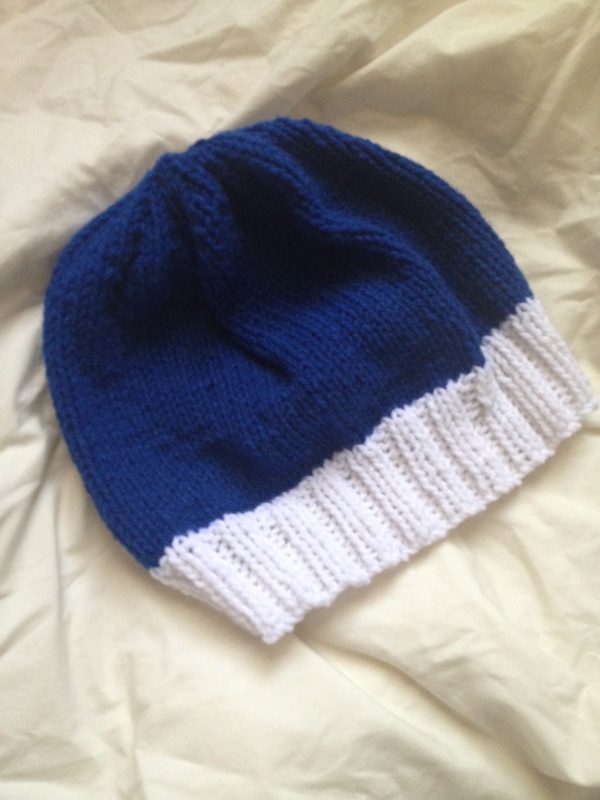 I’ve been knitting a lot of hats recently. This past winter I really got it down and figured out a good pattern to use. Everyone wanted one and my cousin even saw one I had just finished for someone else and took it for himself. I would much rather knit in the round on circular needles on double pointed than to knit flat and seam it up (if I do that then my mom does the seaming). Cut yarn and leave a tail to thread the remaining stitches and pull to tighten. 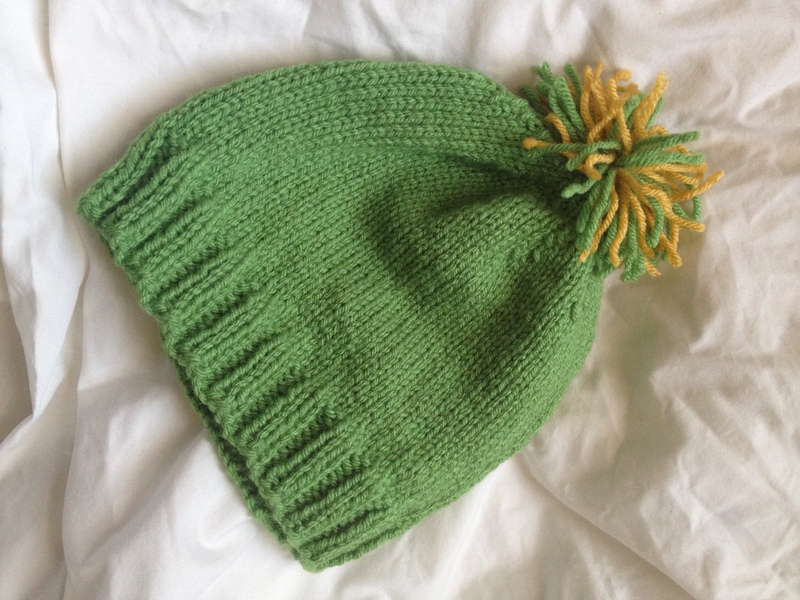 The great thing about this hat pattern is that you can choose to use multiple colors or even add a pompom. Did anyone know that it could be spelled pompoM or pompoN?